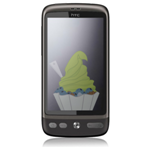 Unlocked HTC Desire owners have been enjoying their chilled Froyo update for over a month now, and today T-Mobile UK announced that its customers are finally going to be able to catch up to the rest of the pack. Want to know what Froyo can offer you on top of Éclair? Check out our Everything You Need To Know About Android 2.2 Froyo roundup. We have some exciting news for all our Desire users. The 2.2 firmware update (FroYo) will be available from today and will be sent over the air (OTA) direct to your phone over the coming weeks. Be sure to save all your personal data before you start downloading. T-Mo UK Desire users, are you seeing your update trickling through yet? Give us a shout if you do and if not, hang on tight and see if it shows up after a few days.